Straight out of France and operating across three continents, William Soulier and Adrien Thierry, co-founders of Model Village, the marketing agency, have a lot of choice when judging where the best place to do business is. But it didn’t take long for them to come up with an answer: “The ease of doing business [in London] is way better than when in France, Italy or anywhere in Europe,” Thierry says. “It’s lifting you up.” Such a claim is for good reason, given Blighty’s capital has brought the duo’s enterprise benefits you’d be hard-pressed to find elsewhere. In fact, on Thursday February 28 they’ve recently walked off stage with the London Business Award for Highest Domestic Growth. 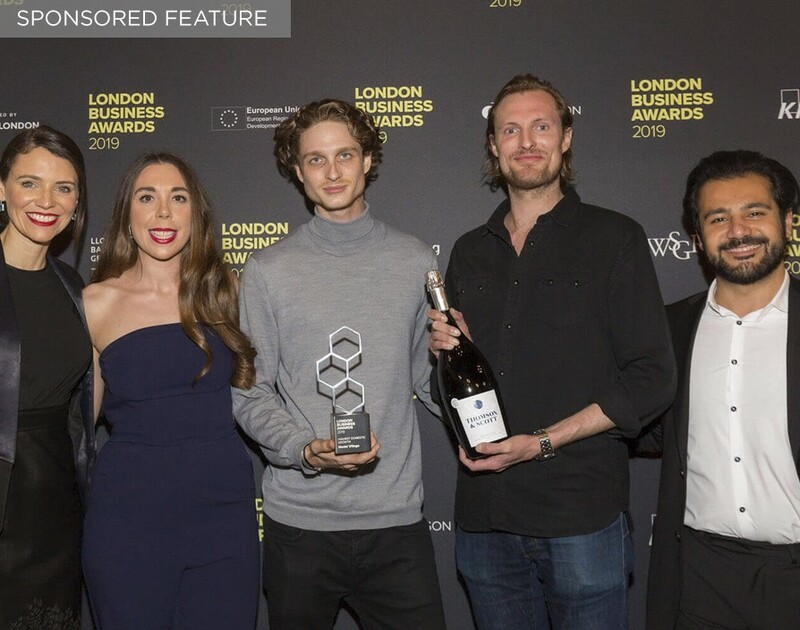 “To already be nominated with all the efforts we put behind and with everything that London has really given to us is amazing,” Soulier says. However, things weren’t always so glamorous. “Two years ago there were two of us in a living room,” Soulier remembers. Compared to where they are now, it’s clear why this year’s Highest Domestic Growth trophy has Model Village’s name on it. “Today, we’re over 25 people worldwide in three continents,” Soulier continues. And they aren’t hiding how they got here. Speaking of the rest of the world, you can’t utter the word Britain in conversation these days without at least once juxtaposing it with Brexit. It certainly looms over London’s reputation but Soulier isn’t concerned. “I think its a topic that's been really amplified way too much,” he says. His calmness isn’t least because Model Village’s service isn’t defined by borders. “Now when it comes to our business thankfully we provide a service, a digital technology service, and we can go beyond boundaries with that,” he continues. The proof’s in the pudding. Energised by the award win, Model Village is bursting with ambition to go further and further. “It's like we went from zero to one, now we’re one, we’re going to go from one to ten,” Thierry explains. However, the co-founders recognise victory is far from easy so have words of wisdom for those vying for their very own business award. “Keep your ears peeled and don’t close yourself up on the work that you're doing, that’s most important,” Soulier concludes.